Modern travelles do everything to gain their goals. They are ready to put efforts and some money to experience something new. When travelling people want to have countervalue for their sacrefices. In Asturias all that is possible. Hole province is new capture to most of the people. There is a lot to see and experience within a proper distance. Nice weather throughout the year, reasonable price level and friendly people are also rewards for a traveller. 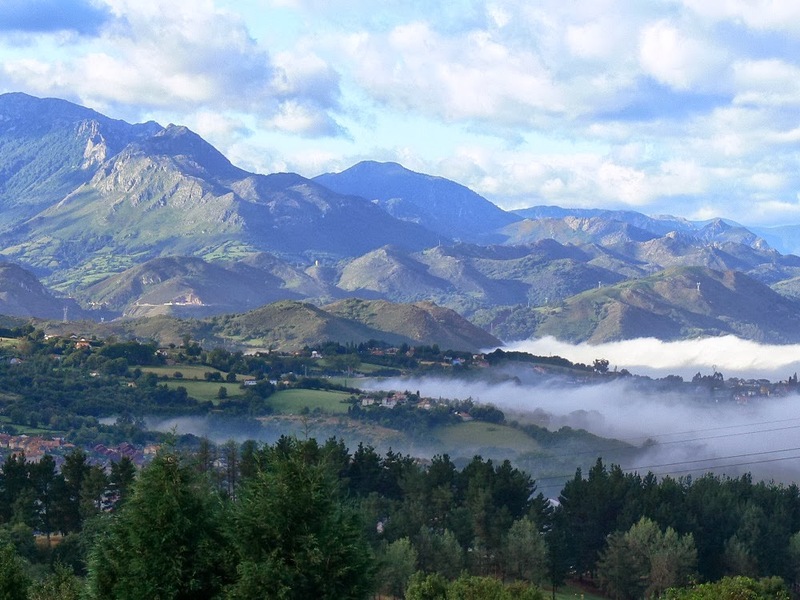 Asturias is a province of natural beauty. Nature is inseparable part of Asturias. 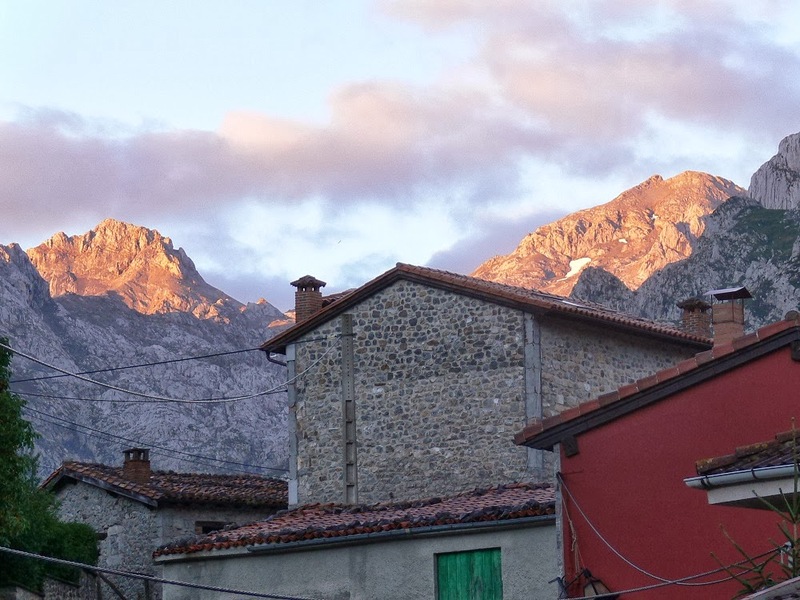 Its beauty streches from Cantabrian sea level to high mountains of Peaks of Europa. Landscape and its diversity are totally different with those two parts of province. Still all regions of the territory can be reached within a few hours. Which is a benefit for them who want to spend one day on a beach and another on the mountains. 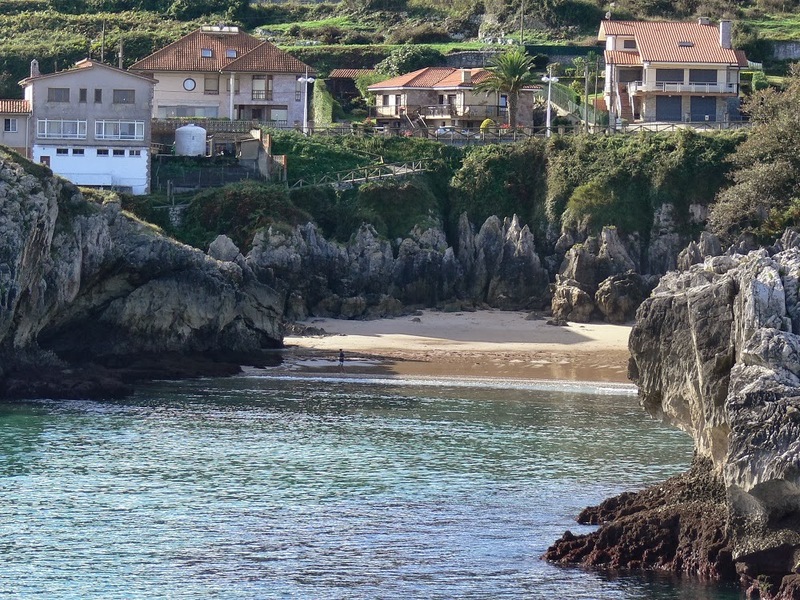 Llanes is one of the picturesque fishing villages on Eastern coastline. It is remembered about Agustin Ibarrola’s painted concrete ”Cubes of Memory” which are laying alongside breakwater. Small piece of sandy beach just in coastline reflects best one of the attractions that draws people to Llanes. Shelttered place surrounded by cliffs in Playa de Puerto Chico is a perfect place to lay down in the sun and spend a break. Sotres in the last post of civilization in the eastern extreme of the province. Here you can find the high mountains peaks near 2600 meters that belongs to the Peaks of Europa. 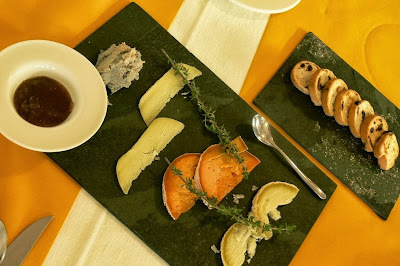 Sotres is famous for its agricultural identity and above all for its famous and inimitable blue cheese, Cabrales. Sotres is many times also starting point for people who like to wander, hike, trek or climb mountain. Morning sun lightens the top of the peaks and shows the long and rough road between the peaks and the village. 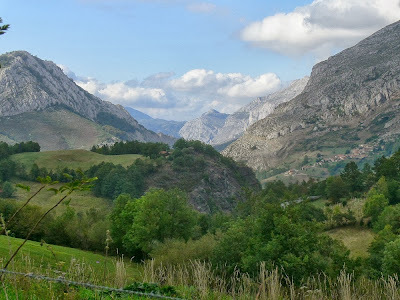 Central part of Asturias in Teverga and its nature shows also green light for tourists who are seeking for mild terrain to walk, bike or canoe. The tourism is based on the area’s beauty and is also passable for the little ones of the family. The scenery is paintinglike, where green forests are essential part of the terrain. On the slopes of the mountains there are also small settlement where people live with agriculture and tourism. It is justified to say that people in Asturias are living in the middle of past and modern era of history. Everything is guite close so you can familiarzise yourself with common core of human history in one day. 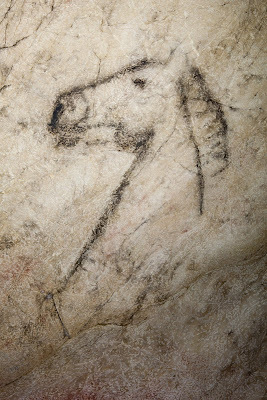 One can peek to late Paleolithic testimonies, Pre Romanesque Art and near history between the end of 19th century and first quarter of 20th century. And todays life, being history tomorrow, can be seen on villages and cities every day! Tito Bustillo Caves take you to trip to Stone age, to time between 35.000 B.C. ─ 10.000 B.C. The Ardines Range of hills in the village of Ribadesella had covered its historical seagrets over time. Fortyfive years ago, in 1968, on group of local mountaineers abseiled and explored the gaves and the main gallery. They discovered staggering paintings on the wall from the ancient people. Findings have been organized into eleven different groups, contaning engraved and painted representations of animals and figures. Horse’s head in Main Panel is the latest painting and it so natural, living and fresh. It transmits the feeling that it was painted recently, although it dates back to 10.000 B.C.! 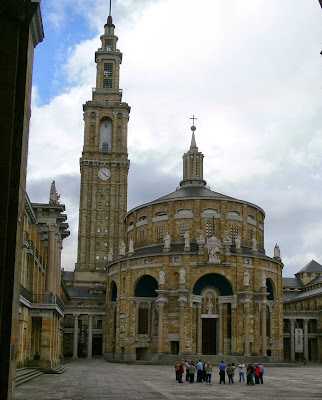 Santa Maria del Naranco symbolizes proudly Pre-Romanesque monuments which date back over 1000 years. 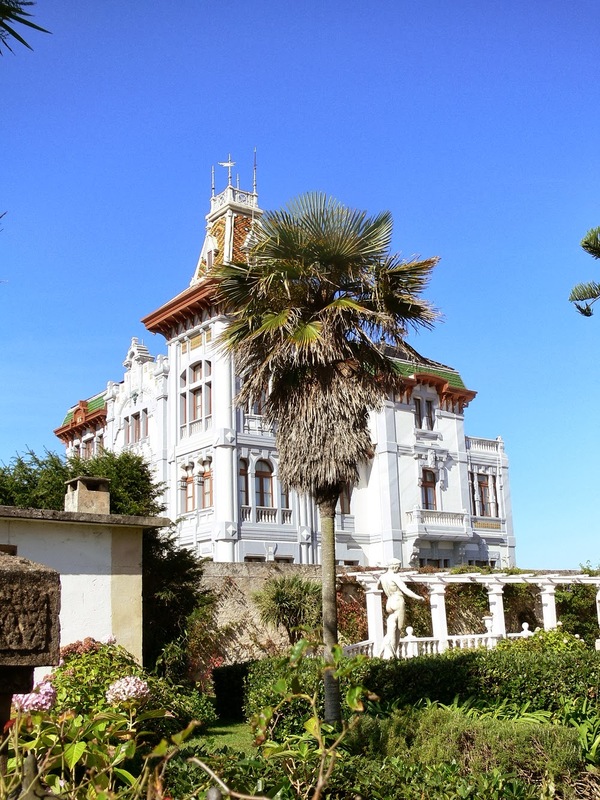 This remain belogs to group of six monumets that are on the Worl Heritage list reminding the origin of the Kingdom of Asturias. 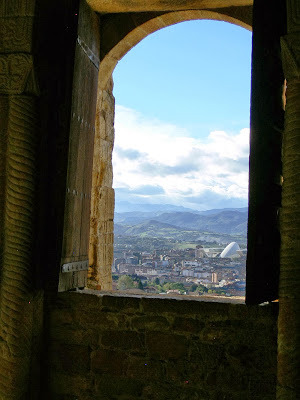 Massive rocky building unites past history to modern time and is watchin over Oviedo down in the valley. Laboral, City of Culture, is a huge architectonical complex from near history in the city of Gijon. Starting in 1948 it counted classrooms, workshops and farm among others. When time passed its focus was transformed and converted into constantly transforming cultural city. Nowadays it is home for promoting, training, culture, artistic creativity and fun. Several groups are visiting the centre and admiring its extraordinary outfits, like 130 meters high Tower and the Church beside it. The house of indianos is spectaculas and extraordinary example of the time when life was in transition time during industrialaziation. Many Asturian people emigrated to America for better life and after work or because of other reasons. When coming back those people, the indianos, wanted to show their success and financial status by building a house that emphasizes their achievements. A palm three belogs to the context. Sitting in a table to eat in Asturias is same as opening positive Pandora box. Before the serving starts you can prepare yourself for tasty surprises and forget your timetable. Who wouldn’t like to go through hole menu, where incredients are local, fresh and implementation is decorative both savory. Tasting of Asturian cheeses in restaurant Quince Nudos in Ribadesella gives a representative sample about variety of tastes. Afuega’l Pitu Rey Silo as white and reddish with paprika is quality start for tasting. When continueing with Casín del Viejo Mundo you can feel the strongness and excellence in your mouth. Last but by no means least is the jewel of Asturian cheeses, namely Cabrales de Teyedu. This blue cheese is personal, mix of cow’s, lamp’s and goat’s milk, the colour and aromas are totally integrated with elegance and nuance. 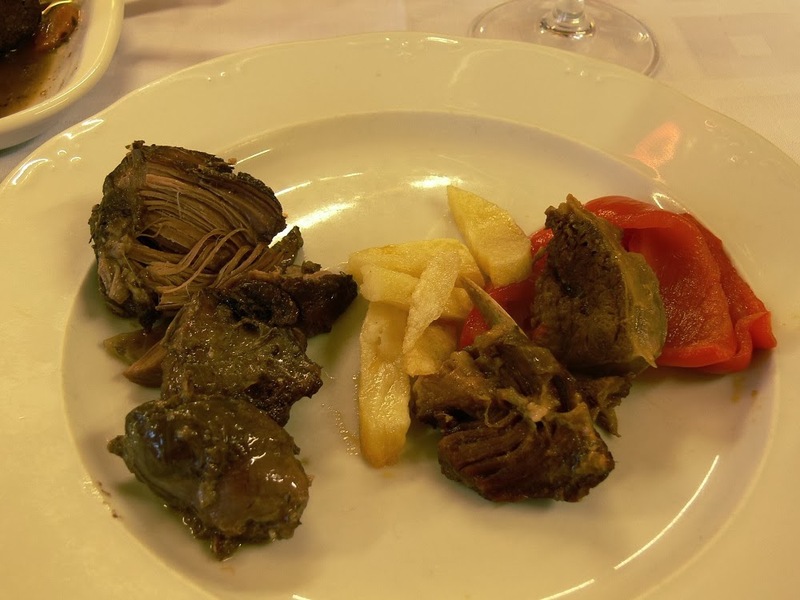 Restaurant Del Arco in Oviedo offers a meeting on a plate with piece of essence in Asturias. 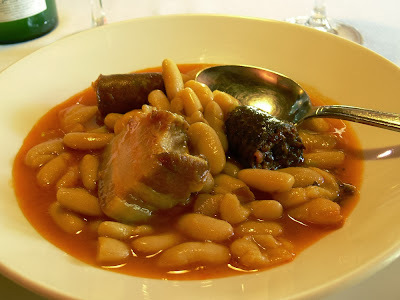 Fabada, Asturian bean soup in real symbol of the county. It simplifies what is solid, cost worthy and still nourishing to have enough strength. On a plate you will have certified beans with fatty pork, chorizo and morcilla sausages cooked slowly together. 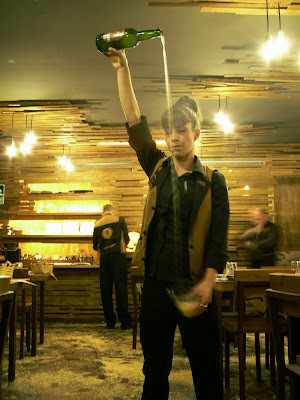 In Del Arco serving is carried out with style, camly and respecting the food and client. 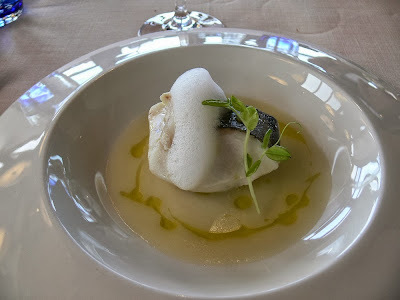 Restaurant Auga El Puerto on Gijon shows how simple, fresh and tasty a dish, hake on the hook, can be. You can imagine and nearly see the breakwater where the hake have been fished for. That’s why it is so fresh and has so delicate aromas. Smoothness that you have on fork naturalizes why Auga El Puerto have got one Michelin star! Game starts with cabrito and game! In Asturias meat is essential part of the cuisine. 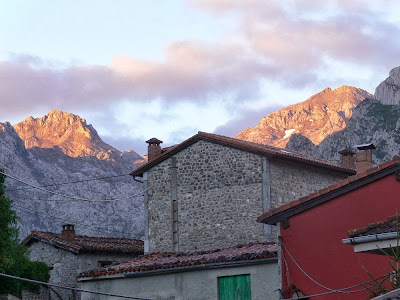 When travelling on mountains you will propably have kid goat on a plate or some times wild boar in restaurants like Casa Cipriano in Sotres or Aladino in Teverga. In any case the dish will be served plainly with potatoes and some vegetables. 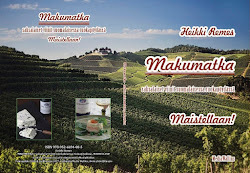 Long stewing and preparation time generates softness and richness in nuances with the aromas. With wild boar and kid goat you can taste the result and the difference of meat structure. Be Asturian, taste cider. Cider is vivid trademark that is present every where in Asturias. It is sold by bottles, meaning that nearly 36 million bottles are poured in the province with small individual serving, culin. You raise your arm high up and let cider drop to glass that in down wating in your hand. During the fall cider integrates with air and gets some oxygen and spirit. Cider is must with many Asturias dishes. In Tierra Astur cider house in Aviles cider is way of life.